Researchers found that about one in twenty-five of people sentenced to death are likely innocent. A new study finds that about one in twenty-five people sentenced to death in the United States has likely been convicted erroneously, meaning it is “all but certain” that American corrections departments have executed “several” innocent defendants since 1973. Researchers based their estimate on thirty-one years worth of death penalty data, collected from three separate sources. Between 1973 and 2004, judges handed out 7,482 death sentences. Of those, 1,320 defendants were eventually executed, while 117 were exonerated, according to the study. 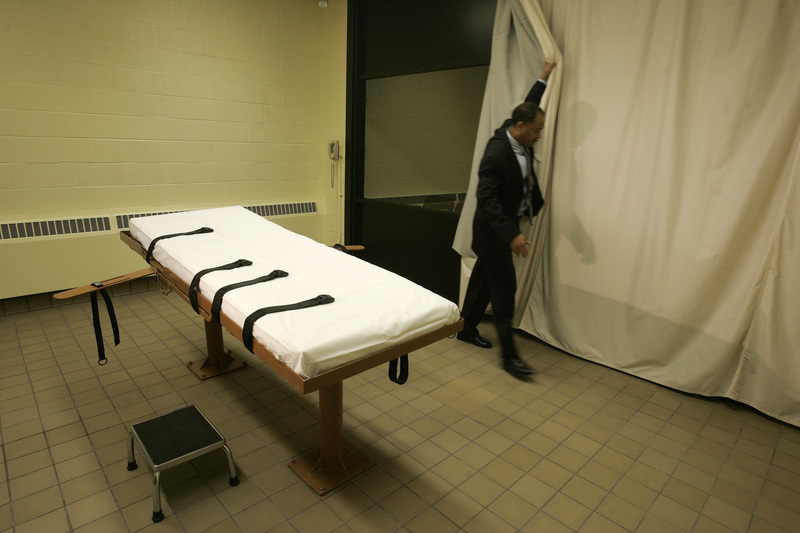 A higher rate of death row prisoners, about 36 percent, were removed from death row and resentenced to life imprisonment. If the current trends persist, more than two-thirds of death row inmates will be granted reduced sentences. The high overturn rate for death sentences is key to the authors’ claim that “the great majority of innocent defendants who are convicted of capital murder in the United States are neither executed nor exonerated.” Defendants taken off death row had an exoneration rate of about one-eighth of those still under threat of execution. Gross says that’s because fewer resources are devoted to exonerating capital defendants once execution is taken out of the equation. Read the study, published in Proceedings of the National Academy of Sciences, here.